Join us to get on our mailing list! Membership dues range from $15 for students to $50 for organizations with paid staff. 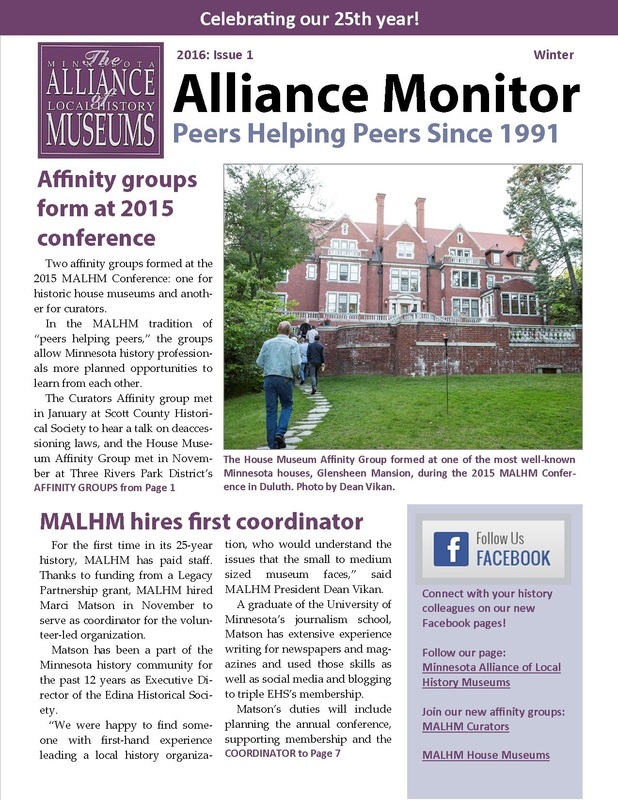 We occasionally send out email news to all in Minnesota local history community (members and non-members alike). Updates include information about our activities, such as the annual conference or the Minnesota History Awards, as well as other local history news. We will respect your time and your privacy. We promise not to flood your in box or share your information with others. We send out our free email news via Mail Chimp. Sign up here to get on our mailing list. Follow us on social media to get the latest updates, join a discussion or to connect with colleagues. We'd love to hear from you! Send us your news. Send us your newsletter so that we can know what issues are important to you. Email electronic news to ​Dustin Heckman, Alliance Coordinator. For hard copies, contact Dustin for a mailing address.